MALCOLM Turnbull is steeling himself for the next assault, with Peter Dutton thought to be preparing for a second challenge on the leadership. Mr Turnbull's position as Prime Minister of Australia is looking increasingly untenable after he fended off Mr Dutton's attack by just 48-35 in a party room vote. The government is now in turmoil, and its ability to get anything done severely damaged. Four ministers who voted for Mr Dutton have offered their resignation, but Mr Turnbull refused to accept them. However, the Prime Minister looks unlikely to be able to hang on long after 35 members of his party turned against him. Mr Dutton repeatedly refused to rule out another challenge for the Liberal leadership before the next election - which must be called by May 2019 and could now be imminent. While the Queensland MP failed to oust Mr Turnbull, he exceeded most expectations by managing to collect 35 votes - including cabinet ministers - without an active campaign. He stepped down from his position as home affairs minister after the vote, and was already working on softening his image yesterday afternoon. He told Sky News he "likes a drink", "has a self-deprecating sense of humour" and "likes a kid's footy game on a Saturday or Sunday". Mr Dutton said his next step was "to make sure I can prosecute the sort of messages I just spoke about and that is the only thing I am focused on." His supporters were encouraged by the results of the vote, telling the Adelaide Advertiser Mr Dutton can "easily" win the contest for the prime ministership with more time and a campaign. A senior Liberal MP said the vote had come without warning. "Dutton will win in a matter of a few days, or at worst, a few weeks," said the MP, describing the vote as a stunt. "Malcolm Turnbull is not selling anything. There will be a second challenge." Another said the Prime Minister's condition was "terminal". 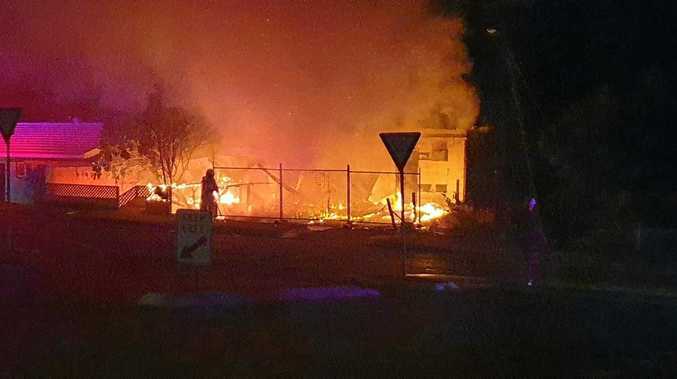 The ABC said Mr Turnbull was "mortally wounded", while The Guardian called the situation a "political annihilation". Labor leader Bill Shorten claimed the PM was "a Prime Minister in name only," adding: "If nearly half of his own government do not want him to be the Prime Minister of Australia, why should the rest of Australia have to put up with him?" If history is anything to go by, the writing's on the wall for Mr Turnbull. No Australian prime minister has recovered after a leadership challenge. 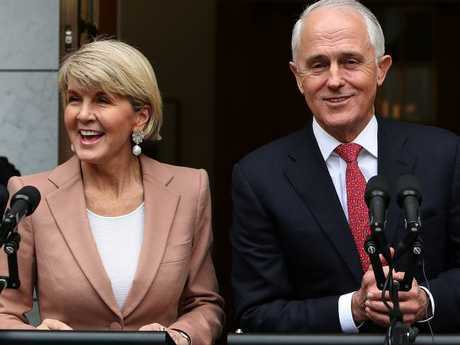 And he defeated his challenger with less than 60 per cent of the vote, where Julia Gillard and Bob Hawke both performed better shortly before their departures. Mr Dutton was just seven votes short of being Australia's Prime Minister. Some believe he could make another challenge within a week, while others say he may wait until the next sitting week, the second week of September, after Mr Turnbull's expected slide in upcoming polls. No matter what happens now, the Government is about to be plunged into chaos. If Mr Dutton wins a challenge, Mr Turnbull may resign from Parliament, leaving the new leader without a majority and most likely calling an election. But his popularity isn't there, and ability to win an election looks doubtful, and some have suggested an alternative challenger such as Julie Bishop or Scott Morrison could fare better. Any new leader may have trouble forming a majority on the floor of the House of Representatives. 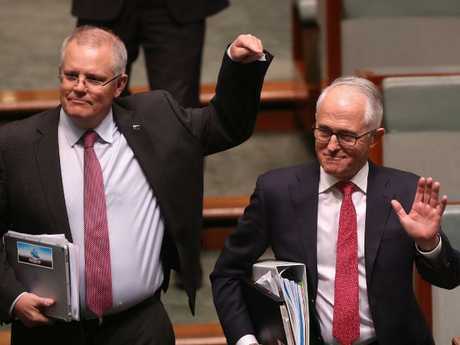 Crossbenchers Cathy McGowan and Rebekha Sharkie reserved their position on confidence and supply in the event a coup triggers government MP resignations. The ABC reported that at least three Nationals would quit the Coalition and move to the crossbench if Mr Dutton succeeds. Nationals Minister Darren Chester said some MPs would "consider their future" if there was a change of leader. 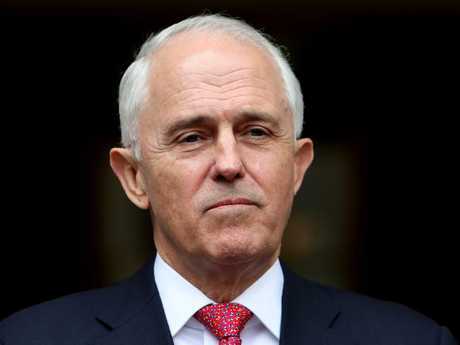 Three Liberal marginal seat holders either won't run at election or will resign immediately if Mr Turnbull is rolled, according to The Australian's contributing editor Peter van Onselen. Ms Bishop has said she will not be running for the top job. The Prime Minister is battling to steady a sinking ship, saying: "We know that disunity undermines the ability of any government to get its job done, and unity is absolutely critical." Pauline Hanson said Mr Dutton would do an "excellent job" as PM, but if Mr Turnbull stays put, it works in her favour. 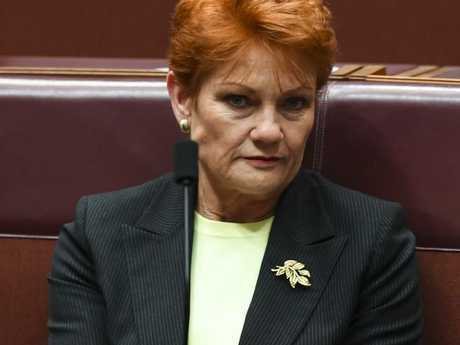 She told Sky News Mr Dutton risked accepting a "poison chalice" if he wins the leadership. "I like Peter Dutton, I think he's done a great job as Immigration Minister," she said. "I think he's a very matured, well-managed man and I think he could handle the position of PM very well," she said. "He's on the conservative side of politics and I think he'd do very well. People are saying we don't know much about him, I think he would do an excellent job. Very measured in the way he answers questions. "I think Peter may be taking on a poison chalice here if he takes on the position of PM … They're going to be decimated at the next election. I don't have a lot of faith in some of the others." The One Nation senator also floated the option of returning the former Prime Minister to the top job, saying he has learned from his experience. "People say 'oh no, not Tony Abbott again'. In the situation that the government's in now, and destined to lose the next election to Labor, astoundingly, maybe Tony Abbott would've been the alternative to take on this position. He's learned a lot from his first time around. He actually is talking about conservative, new coal-fired power stations, immigration, and he's actually speaking the language a lot of Australians want to be heard from the leader of this nation. I think Tony Abbott, if not Peter Dutton, should be given another chance at it." She said Mr Turnbull staying would help her and Bill Shorten. "Does it benefit our country? No it doesn't. He's too much to the left and he's not representing the conservative views and opinions, and that's why there's this conservative revolt from the backbench. A lot of them are going to lose their seats under Malcolm Turnbull."